As we all know, a CV’s primary purpose is to sell you to an employer or recruiter. 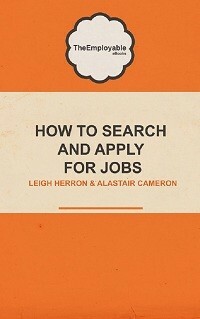 A well crafted CV is therefore an absolute essential if you are to be shortlisted for interview. However many candidates fall at that first hurdle and make some basic errors on their CVs which prevent that ever happening. 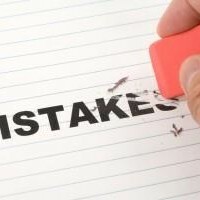 Here are the Top 5 CV mistakes which we’ve come across in our experience as recruiters. Avoid at all costs! Whether your CV has one simple spelling mistake or is littered with them, the result is the same – it indicates to an employer that you are somewhat careless and have poor attention to detail. If you are not confident in your spelling ability, then you should always avail of a spellcheck function when creating your CV. However since these are not entirely infallible, it can also be worthwhile getting someone else to check over your CV- a fresh pair of eyes can make all the difference. If you are applying for lots of jobs, chances are you may also be considering jobs in several sectors. You may therefore also have several CVs – each tailored to the various sectors. If you accidentally submit the wrong CV for the wrong role, you are ruining your chances from the off. Many candidates submit a CV which actually ensures that they never get shortlisted for a role. For example, they may have a personal profile which indicates a long-term career goal which is completely at odds with the role applied for. Always check before you hit that send button! Even if you have had a long and impressive career, your CV should generally never be any more than 2 pages in length. Many candidates assume that they have to tell an employer about every job they have ever had and every course they have ever undertaken. That however is not the case. 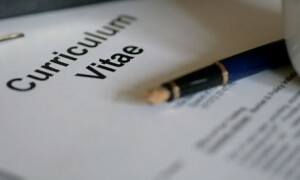 A lengthy CV will actually be quite off-putting to an employer or recruiter. They do not have the time to read through endless pages whilst trying to determine whether or not you are the right candidate for a role. Always make sure that your CV is succinct, covers the essentials and serves its purpose of showing you to your full potential to a prospective employer. CVs generally follow the same traditional format although there are of course exceptions, particularly within the more creative industries. However some candidates make the mistake of assuming that in order to make their CV stand out, they should be a little more out there. Quirky layouts, fancy fonts and even coloured paper can all actually prove to be more distracting to an employer and could end up being the reason why you don’t get shortlisted for a role. Creativity is all well and good but only if the job role and company you are applying to would embrace it. Erring on the side of caution would be our advice. 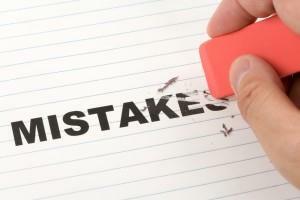 If you’re jobseeking at the moment, we hope that you bear these Top 5 CV mistakes in mind. Best of luck if you are! And check out ou last minute CV checklist before you hit send!